In 1997 the Moss Landing Marine Laboratories (MLML) and the Monterey Bay National Marine Sanctuary offered up a new definition of beachcomber when, along with other state and research institutions, they began the Beach Coastal Ocean Mammal/Bird Education and Research Surveys (COMBERS) program. The program enlists the help of trained volunteers who comb the beach not in search of seashells or other trinkets, but instead look for deceased marine mammals or birds. While this may not be everyone’s ideal day at the beach, the basic scientific information gathered by these volunteers contributes to long-term data that biologists from nongovernmental and government organizations can use to determine the overall health of a marine sanctuary or coastline. The program is essential to understanding “normal” rates of bird and mammal deposition along the coastline, so that when a natural or human-caused event kills birds and mammals, scientists can understand the size and scope of the mortality event. “The data contributes significantly to documenting and quantifying impacts to marine wildlife such as, starvation and unusual mortality events, wildlife disease outbreaks, marine debris interactions including entanglement mortalities and plastic ingestion research, harmful algal bloom-related mortalities, and oiled wildlife,” said Erica Donnelly-Greenan, a marine ecologist and program supervisor who manages the BeachCOMBERS program once a week as an MLML, San Jose State University Foundation employee. Donnelly-Greenan added that the data has also been used in research projects and contributed to Master’s of Science thesis data for MLML graduate students, including her own. The program first began with 22 BeachCOMBERS surveying 11 beaches in the Monterey Bay National Marine Sanctuary. Today nearly 90 volunteers collect data from Santa Cruz to Los Angeles County. 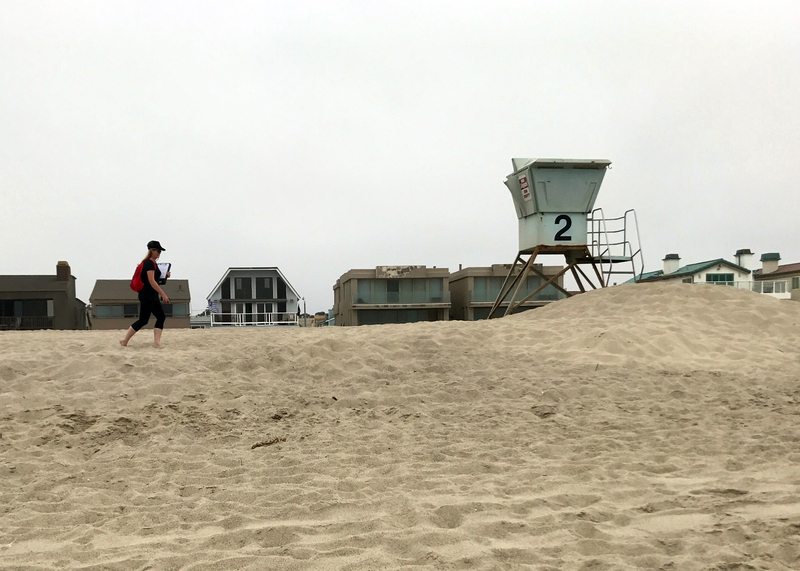 Each month, during the first seven days of the month, BeachCOMBERS teams of two walk their designated stretch of shoreline with clipboards, bright red backpacks, and a look of determination in their eyes. Kendra Chan is a fish and wildlife biologist with the U.S. 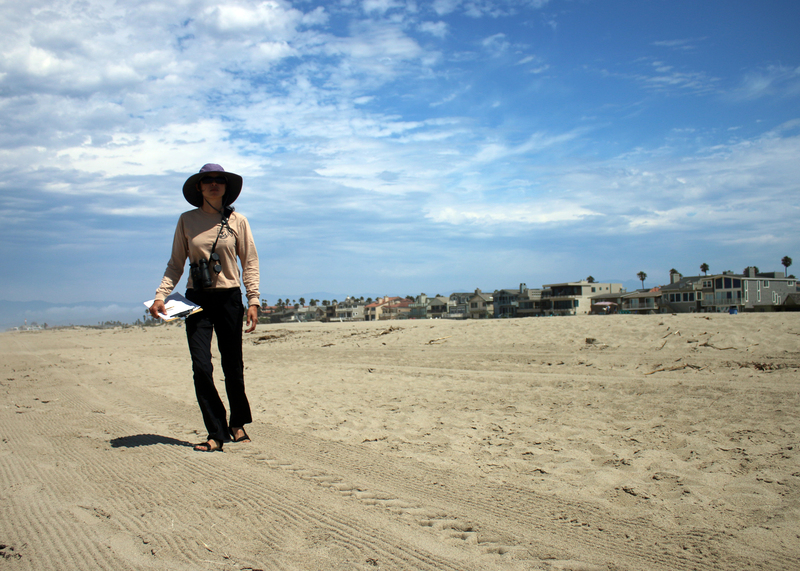 Fish and Wildlife Service (Service) in Ventura and surveys Hollywood Beach in Oxnard, California for BeachCOMBERS. She uses a combination of her marine biology education background and the identification booklets provided to each volunteer team when she encounters deceased wildlife. “We approach the animal and try to figure out what type of animal it is; it’s usually obvious to categorize it as a marine mammal or bird. From there we will use our guide, or our own scientific knowledge to identify the animal to the best of our abilities; and that could be to genus or species level,” said Chan. Chan explained that she and her partner wear gloves and other personal protective gear to examine the animal more closely to help identify the animal and potentially what caused it to die. After recording basic information like species, level of decomposition, signs of oiling, location, and other relevant data, BeachCOMBERS will mark the animal – either by clipping a toe, or wrapping a piece of twine around a flipper, to make sure it isn’t recounted as a new find during the next survey. 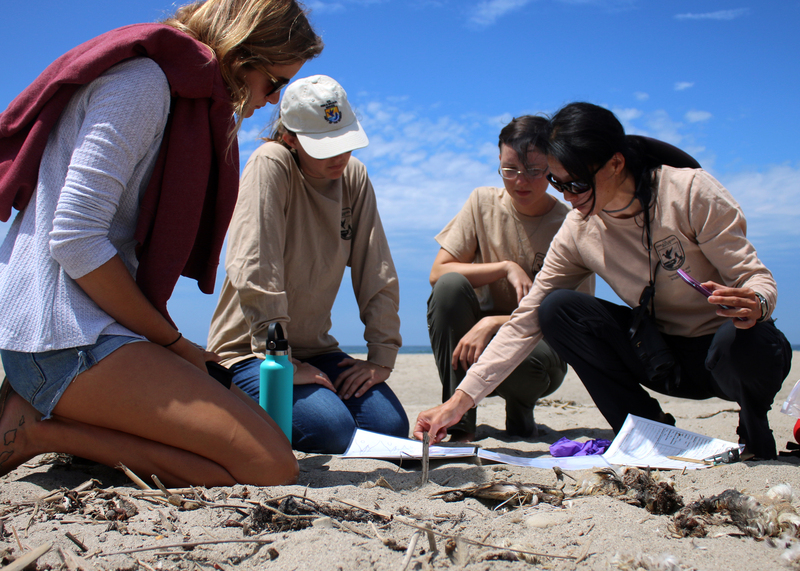 “I got involved because I think it’s really important to know what’s happening on our local coastline, and I really support citizen science efforts that promote professional scientists like myself and other citizens to work together to monitor the coastline,” said Chan. 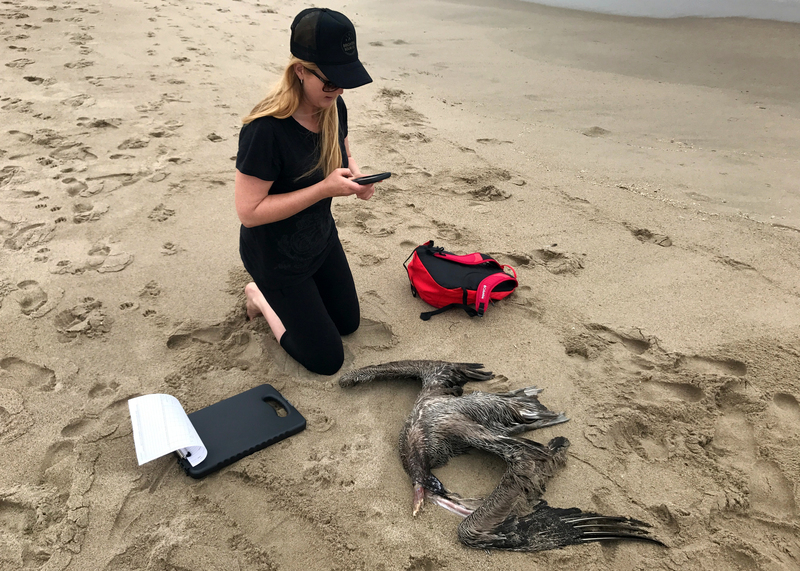 Recently, through the efforts of volunteers like Chan, Service and partner organization biologists were alerted to an increased number of dead or ill marine wildlife on Ventura and Santa Barbara County beaches. “In early April of this year, our BeachCOMBERS volunteers alerted us to higher than normal numbers of dead loons and stranded marine mammals. During this time, we also received information from our local wildlife rehabilitators that there was a sharp increase in intakes and observations of these animals,” said BeachCOMBERS volunteer Lena Chang, senior fish and wildlife biologist with the Service in Ventura, and volunteer coordinator for the South Coast Chapter of BeachCOMBERS. “Clinical signs pointed toward domoic acid poisoning, but we worked with the California Department of Fish and Wildlife’s (CDFW) Marine Wildlife Veterinary Care and Research Center and the U.S. Geological Survey’s National Wildlife Health Center to analyze carcasses to help determine cause of death,” said Chang. BeachCOMBERS' data has also been used to understand threats to marine resources and inform and identify conservation management. In the wake of the 2015 Refugio Beach oil spill that resulted from a pipeline rupture in Santa Barbara County, California, Service biologists and scientists from CDFW, National Oceanic and Atmospheric Administration and California State Parks are using BeachCOMBERS data to help understand how the oil spill impacted the environment. These partners are working through the National Resource Damage Assessment process to restore natural resources injured as a result of oil spills or other hazardous substances released into an ecosystem. 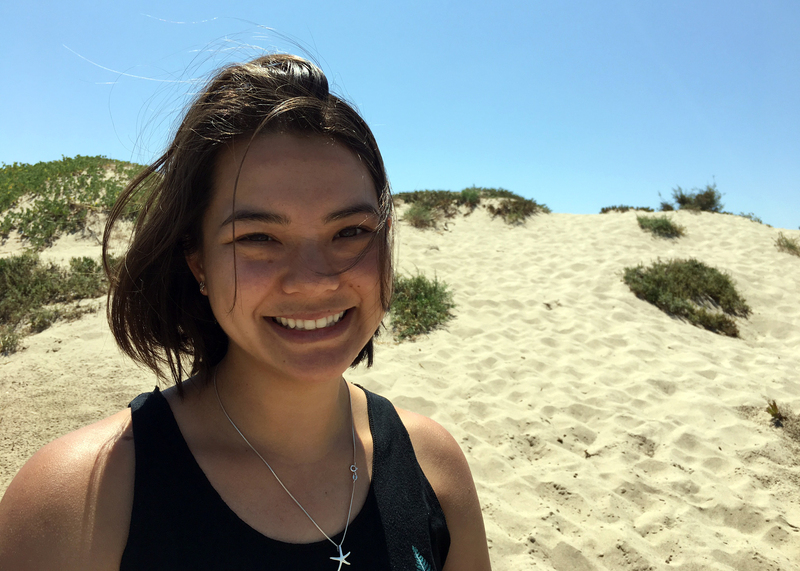 Andrea Dransfield, a biologist for environmental consulting firm Dudek, became a BeachCOMBERS volunteer because she wants to proactively contribute to the health of the ecosystem, and it allows her to connect with her local beach, Silver Strand in Port Hueneme, California. She also gets a good laugh out of the reactions of other beachgoers during her surveys. The Service supports BeachCOMBERS by funding the purchase of volunteer equipment and database management at MLML. For more information about the program and how to volunteer, visit: https://beachcombers.mlml.calstate.edu/ According to Donnelly-Greenan, BeachCOMBERS will accept new volunteers as beaches require coverage and funding becomes available to host training sessions. Robyn Gerstenslager is a public affairs specialist with the U.S. Fish and Wildlife Service in Ventura, California.